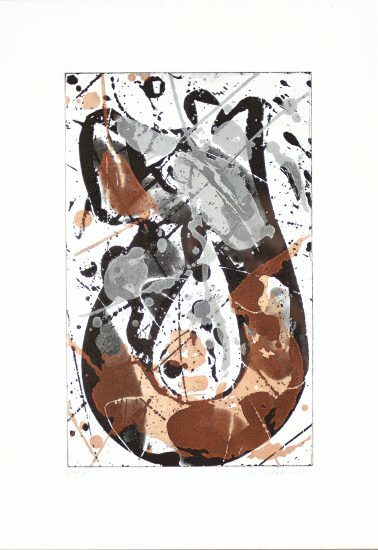 Numbered from the edition of 100 in pencil in the lower center. 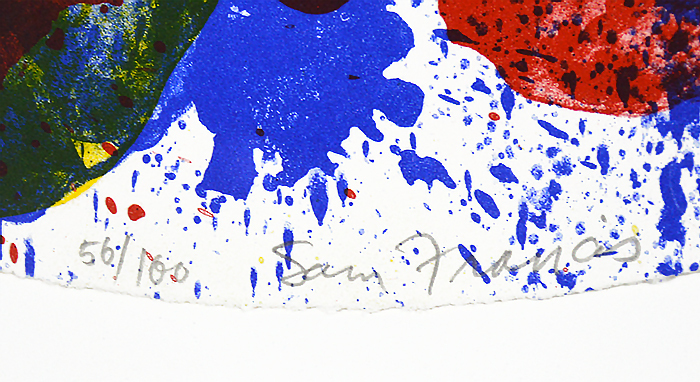 This work is hand signed by Sam Francis (San Mateo, 1923- Santa Monica, 1994) in pencil in the lower center. 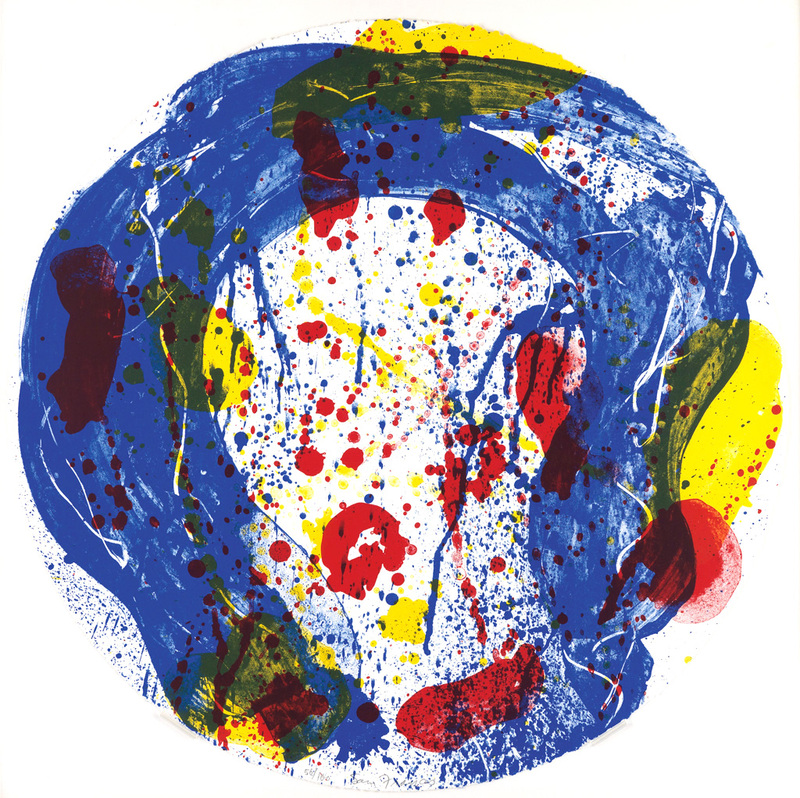 Sam Francis Untitled, 1993 is a powerful circular composition dominated by a sweep of rich blue. 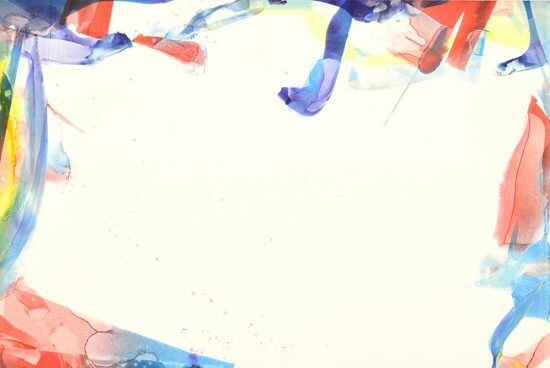 Vibrant splatters of yellow and red are the only other colors on the piece, and the simplicity of the primary color palette gives the work an astounding beauty. 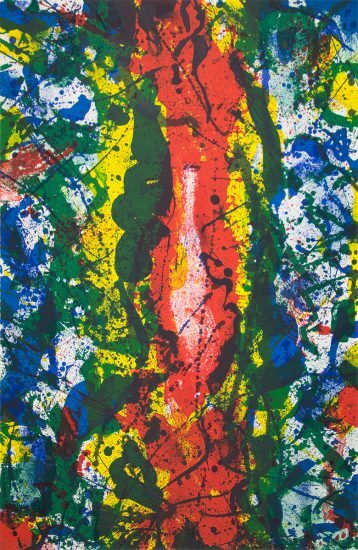 The three colors, layered on top of each other, give the piece a wonderful sense of depth; the abundant variation of forms, from large strokes to dynamic small splatters, further add to the visual feast that Francis so skillfully and elegantly presents. 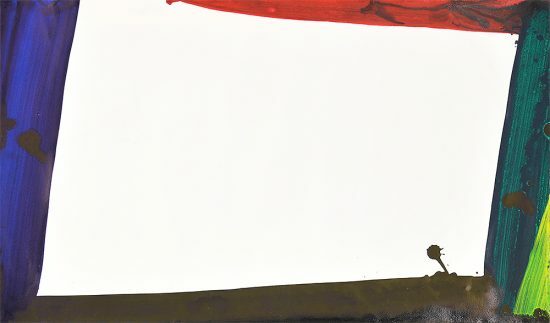 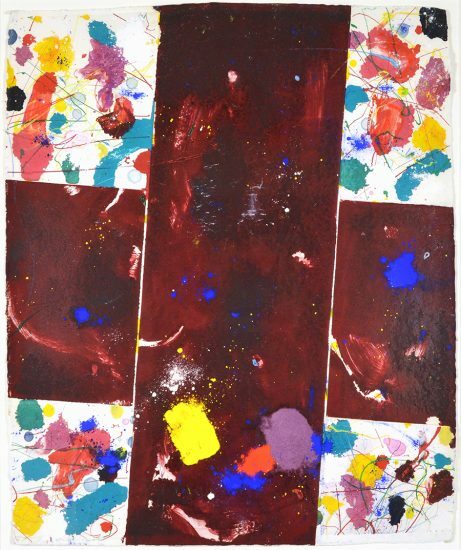 The paper which the composition dominates is circular as well, adding to the organic power of the work by eliminating the sharpness of corners and edges. 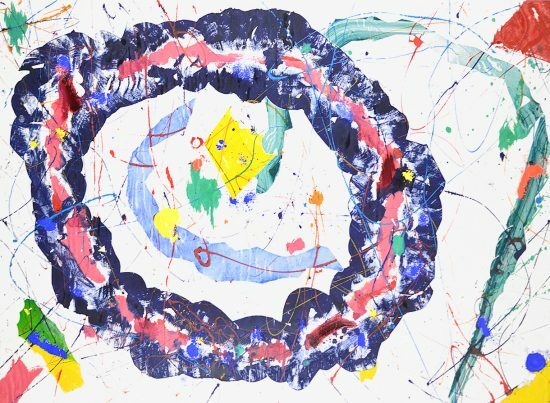 The piece inspires reflection, drawing the viewer’s eye in a perpetual meditative circle that has no beginning and no end. 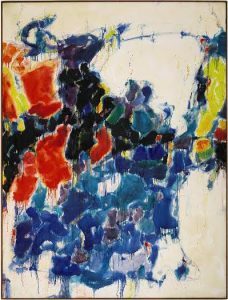 There is both an infinite stillness and a graceful movement in the composition, akin to the hovering of celestial bodies. 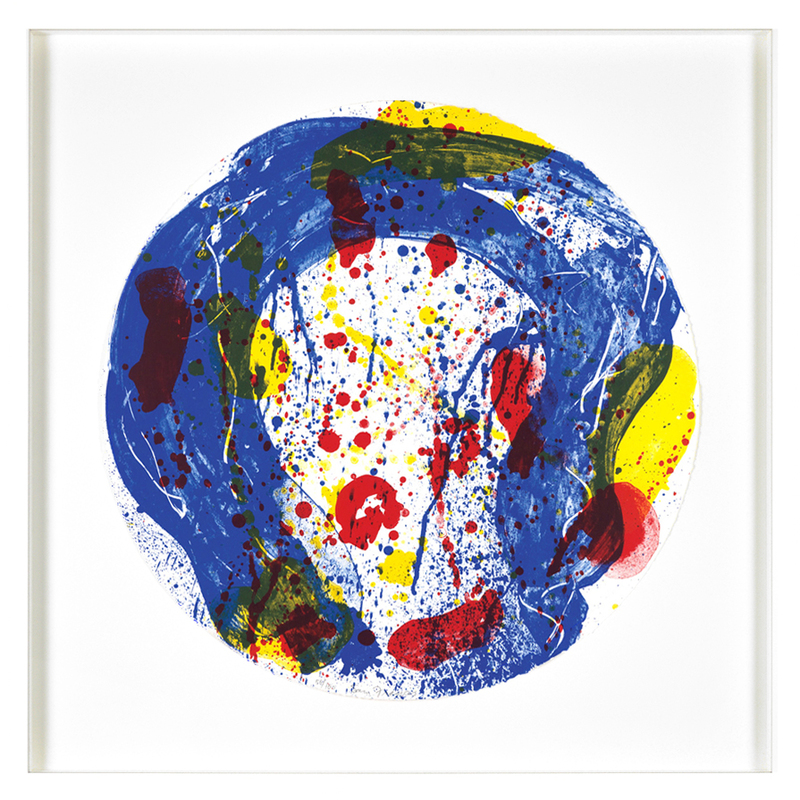 Remarkable for its circular composition, this piece encapsulates Sam Francis’ ability to create a rich and joyful world of color and form that is impossible to look away from. 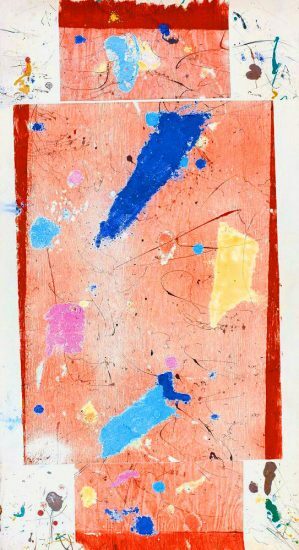 Created in 1993, this color lithograph on circular paper is hand signed by Sam Francis (San Mateo, 1923- Santa Monica, 1994) in pencil in the lower center and numbered from the edition of 100 in the lower center. 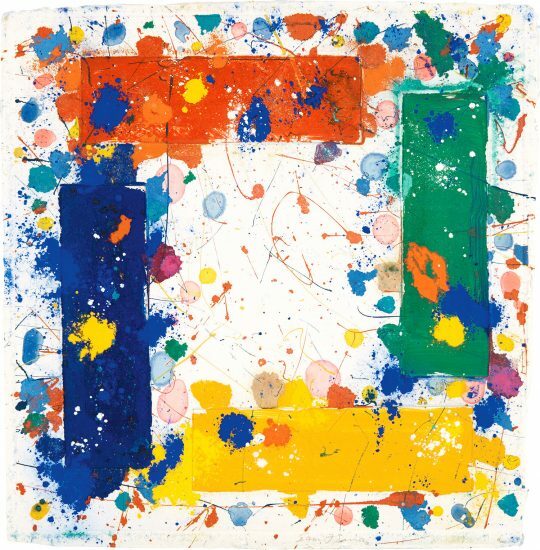 Sam Francis Untitled, 1993 is fully documented and referenced in the below catalogue raisonnés and texts (copies will be enclosed as added documentation with the invoices that will accompany the sale of the work). 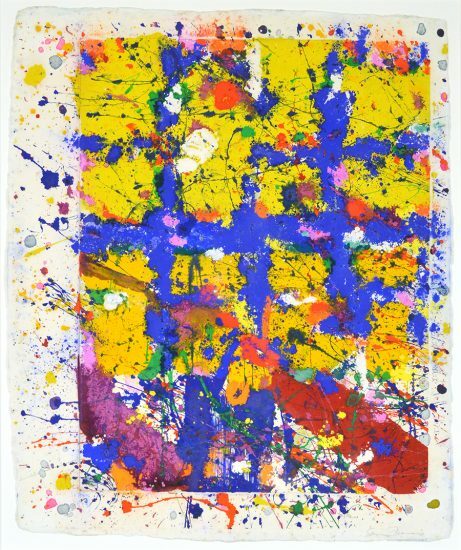 Framed to museum-grade, conservation standards, Sam Francis Untitled, 1993 presented in a complementary moulding, mats and optical grade Plexiglas.